Want to learn more? Join the Club! We have sent you the basic information. You will receive it in your mailbox shortly. However - do you want to learn even more? Have you ever had problems with the education of the children? Have you tried to teach them and had no idea what exactly to do, or they showed no interest in your efforts? It is not your fault - nobody taught you how to do it. If you can relate to this problem, we have the solution. Our site provides you with an abundance of advice and clear guidelines that will enable you to teach music effectively to preschoolers. Imagine what it would be like to see the children enjoying singing and playing various instruments. Educators, members of EduMusica team, have decades of teaching experience. We have introduced music to many children in kindergartens, and a lot of our pupils are already successful professional musicians. - help you to develop yourself. Our team members have held musical classes in different kindergartens (including many Montessori institutions). We are using tenths of different proven musical activities, following a proven outline. You will get this for just $7 per month. Risk Free: If you are not satisfied with our product for any reason, we offer 100% refund. Just let us know within 30 days after your purchase. Click on the Subscribe button below! P.S. This product was developed by a team of experienced professional music teachers. You will learn how to introduce music to preschool children. 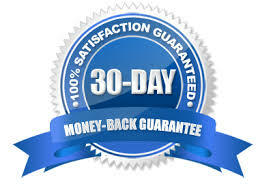 Remember, there is no risk for you because we have 100% money back guarantee.